In the recent 1N2D episode which was brodcasted on the 26th, UTW and SSK had a match. The two strongest and heaviest guys on the show, had a blanket fight. They lay under a blanket and tried to pull the blanket to themselves. Uhm Tae Woong suddenly gave up because the blanket had hurt his throat. 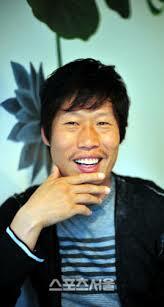 Sung Shi Kyung won the game and he took his revenge from the arm-wrestling match that was brodcasted in November 2012 , where there was no winner. Whenever we watch 1N2D we laugh because we find these 7 guys very funny. However, did you ever think that maybe these guys have or had personal problems? I’m going to summarize these problems. There may be things I miss, this is all I know. If you know other information, feel free to comment. 1. Uhm Tae Woong’s father died in a motorcycle accident when he was only 3 months old. After his father’s death, they had really serious financial problems. Uhm Tae Woong once said that when he came home after school, his mother asked him if he was hungry and he ran into the kitchen. But, all his mother did was to put some ramen powder in boiling water. It was, probably, these problems that made Uhm Jung Hwa become a singer. Because she was the one who supported the family. It must have been very bad to grow up without a father, without memories (he was 3 months old). I wonder what he and his noonas felt on Fathers’ Day or when they saw their friends with their fathers. I have a very great respect to his mother. Bringing up 4 children all by herself is a very great thing. The most important thing is that although I don’t know the other two daughters, UTW and UJH grew up to be very great people. On Win Win, UJH said that she was very glad that UTW grew up very pure despite their problems. UTW said that UJH was like a father to him when he was the main guest. 2. Uhm Jung Hwa was diagnosed with thyroid cancer in 2010 and she talked about her illness on Win Win. She said that those were bad days and that her voice wasn’t very good due to her illness. They asked her what UTW did after he learned about the illness. UJH started to cry and she said that UTW couldn’t talk for a while, in the beginning he cried but then he said it was OK.
Lee Soo Geun’s wife started to have kidney problems after the birth of their second child. She had to have kidney transplant and had surgery. The surgery’s success rate was %98 but unfortunately she was among the %2 who couldn’t recover. Even after the surgery, she stayed in the hospital for 2 months and LSG always stayed with her and he only left for work. All this time he made us laugh, but he was crying deep inside. 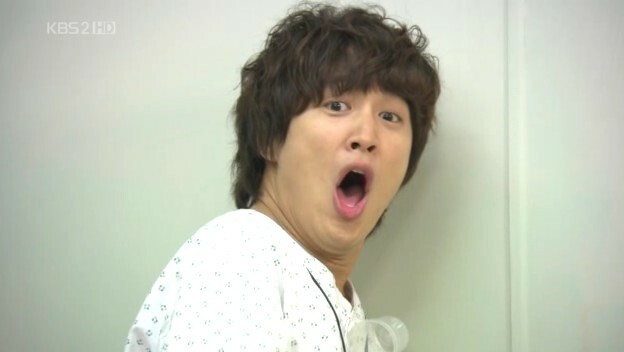 Cha Tae Hyun became very popular at a very young age, at the age of 19. Until 2002, he acted in very popular movies and dramas and he was one of the most popular actors out there. However, the period between 2003-2007 was totally a failure for him and he lost his popularity. He said on Healing Camp that he started to suffer from panick attack. When he was guest on Win Win, his wife said that Cha Tae Hyun was ill every day in the whole year, because he was very stressed out. He had known that the popularity or fame wouldn’t last long but experiencing it was very different. 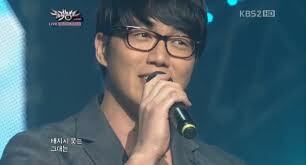 However, now he became popular again and he is a very good variety show member. When he was guest on Win Win they called him as the “Einstein of variety”. I haven’t bumped into anything like this about Sung Shi Kyung. Kim Jong Min’s father died when he was 18 years old. It was so sudden that Kim Jong Min didn’t cry until they approved that the body was his father’s. his father was a taxi driver and one day, he had parked his car on the seaside and he and his brother were eating their meals. Suddenly a very big wave came and pulled the car into the sea. His brother survived but he couldn’t. 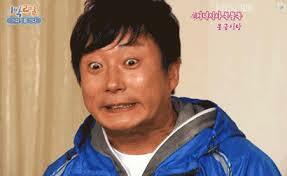 Kim Jong Min and his family found themselves within very big financial problems. Kim Jong Min worked in several jobs to earn money when he was very young. Although this is not very serious like the others, it is somewhat heartbreaking. 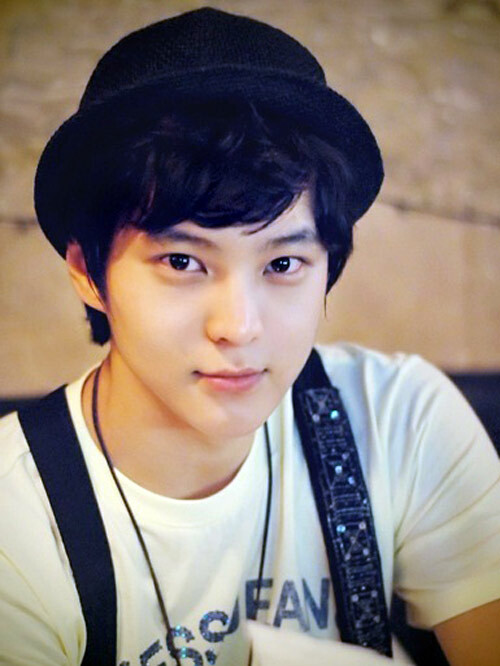 Joo Won’s fans would know that Joo Won is a very passionate person. He always texted to his girlfriend saying that he loved her and he missed her. He did this every single time she came to his mind. Some time later, his girlfriend started to think that he was not sincere and one day she broke up with him via a text message. 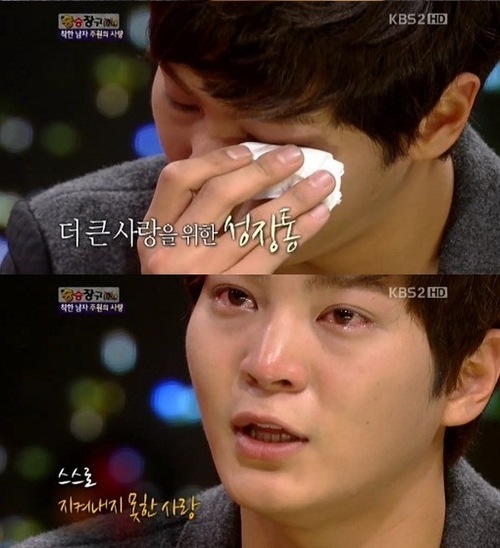 Joo Won was very sad and he cried a lot. He said that he always wanted to love without calculating (without saying “but she has this habit and I hate it etc.) and he wanted to love innocently. But one day, he realized that he had started to calculate and he started to cry. His mother realized that he was crying and asked him why. He said “I’ve changed.” And his mother said that it’s normal and when people grow up they change. Even on Win Win, where he told about this story he cried. Uhm Tae Woong Stills from Can We Love?